Ashampoo® WinOptimizer 16 takes care of things right off the bat. The start page allows you to analyze and fix eight common issues. Free massive amounts of space, clean your registry, slim down on autostart entries, ramp up your security settings and create a lean, secure and error-free system. Naturally, we’ve optimized all features for the latest Windows updates! While many comparable products seem like a wild mix of various features, Ashampoo® WinOptimizer 16 offers a streamlined experience. The navigation bar offers fast access to every feature without the hassle of nested submenus and each module provides clear how to instructions. Making modern technology usable – that is our goal! Development of Microsoft Windows is still ongoing – and so is the development of Ashampoo® WinOptimizer 16! Our developers ensure the program remains fully usable even if your PC has just received OS updates. Through continuous program updates, your WinOptimizer always stays up to date no matter what changes are made to the underlying Windows OS! Maximum security and privacy – guaranteed! Cleaning modules have always been at the heart of WinOptimizer. That’s why we’ll never stop improving them! Where do the latest browsers or setup programs store junk files? Which files pose a risk to your privacy? New threats are constantly analyzed and detection built into the new version. But that’s not all. Ashampoo® WinOptimizer 16 fully supports multi-user environments. From now on, you no longer have to clean each profile separately! Ashampoo® WinOptimizer 16 shows you what’s going on on your PC. For example, you will automatically be notified when the health of your drives deteriorates before disaster strikes. Detect performance bottlenecks and potential errors with ease. If you need extensive details on disk space usage, installed hardware components or running background processes, here is where you’ll find them! 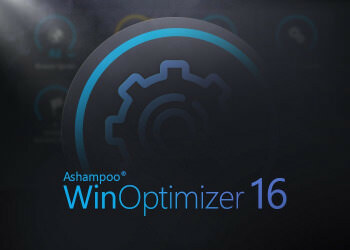 Ashampoo® WinOptimizer 16 comes packed with 36 powerful modules to make your computer life incredibly easy. It doesn’t matter whether you seek to customize Windows, enhance your security and privacy or analyze your system in depth. All modules are refined and updated every year for best compatibility and performance with old and new Windows versions alike. Discover the wealth of useful features in WinOptimizer 16 yourself!